“For Luke to come and start talking about me, first of all, you’ve been knocked out two of your last three times. Yoel Romero almost f*cking decapitated him. He’s coming off a loss and he can’t even make it to his next fight,” Smith said. “So who is he to talk about anybody else in the UFC? He’s the most arrogant prick I’ve ever seen or heard speak in my life. And I’ve never done anything to that dude. I’ve never even literally shook his hand. I just don’t know where his sense of arrogance comes from. “I don’t understand how you can just disparage someone so bad that, number one, has done nothing to you, and number two, is highly-regarded as one of the hardest-working and most devoted guys in the sport,” Smith said. 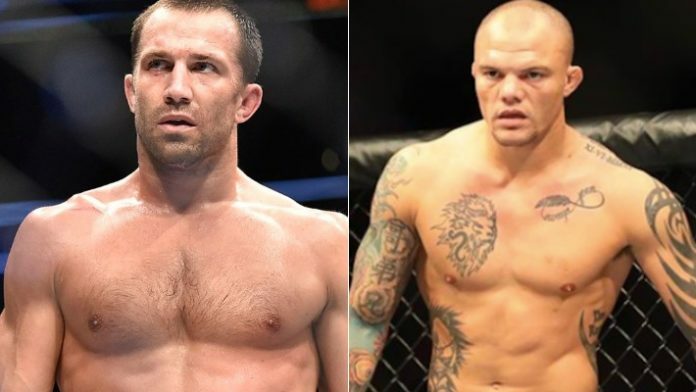 What do you think about Smith saying he’d fight Rockhold at Walmart?